• I get a chance to tell strangers and my friends of my proud accomplishments such as how I much I drank over the weekend, that I can not remember. whether I lost my virginity or not. I even tell them of how I have vukad to A Wonderful World permanently, while I have even no idea where my Zain sim card is. • I get a chance to upload photos of the weekend (above) that i really got drunk showing me peeing in the middle of a well lit road. • I also get a platform to tell the world of my new found love, and how complex we love each other that we end in a complex relationship, so complex like those formulas for simple sulphuric acid reacting with an Organic compound. • Normally, I feel that the messages that I send my complex lover are not enough for it(Doesn't this replace having to us him/her?) to read in private. Therefore, I send him messages via the status updates, so that he feels where my status stands on our complex love. • I get to make many English speaking friends, and then learn a foreign language(Spanish, French or German would do) and then update my status in this foreign languages. Since that already have enough time to waste on facebook, they also have enough time to use online translators to translate them. • By the way I am a very good fan of Britney Spears, a football team called Lokomotiv Moscow and a vehicle known as the Mahindra. 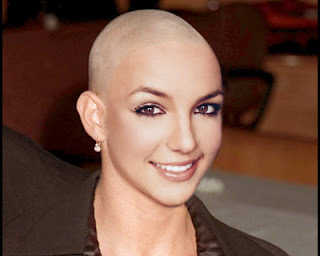 Therefore, I usually use photos of miss Britney, the Lokomotiv Moscow goal keeper or the Mahindra as my profile picture. I then invite people that barely know me or strangers to be my friends. Of course my status picture will be very helpful in helping them identify me. Don' you think so?